Watermelons are the epitome of summer for me. Summer is all about refreshments and that fruit is basically a drink! 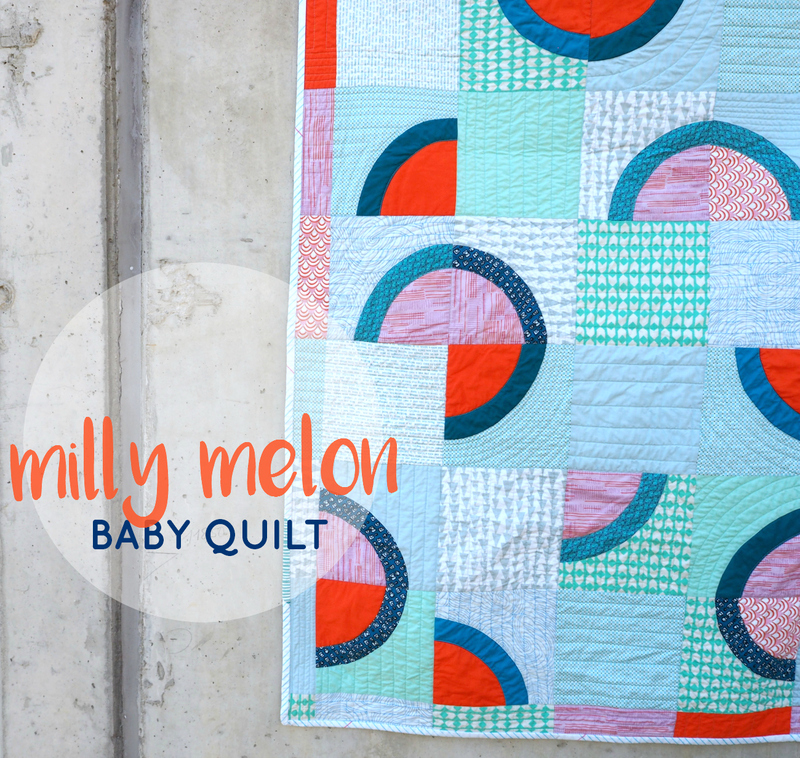 When friends of ours welcomed their baby girl Emily in the middle of summer that’s where my thoughts went – making a watermelon themed quilt for her seemed perfect. You might remember the set of fruity coasters I designed last summer? I took the watermelon drunkard’s path template from the coaster pattern and sized it up a good bit. The sewn up and trimmed drunkard’s path blocks now finished at 7 1/2” square. Like with the coasters I decided to include quarter slices of a melon (1 drunkard’s path), ‘half melons’ (2 drunkard’s paths combined) and three quarter slices (3 drunkard’s paths combined). The different melon shapes are wildly scattered across the aqua hued background. I wanted to capture the sweet and fun feeling of a summer. Like eating slices watermelons by the pool. The backing I once again pulled from my stash. I sometimes buy sale fabric by the yardage with the intention of some day using it as a backing, without having a specific project in mind. I thought the colour fit nicely with the reds I had already used. In general for light coloured quilt tops I prefer darker backings.I had already cut a square from the fabric, so I had to add a patch to square it up. An additional strip was needed to make it big enough. Do you notice that the backing looks almost like a folded over sheet of paper? To stay with the theme I used the College Ruled stripe fabric from Heather Givans’ Paper Obsessed collection. The stripes are printed on the bias, and thus make for an awesome fake bias binding look. pattern: my own | finished size: 39 x 46” | batting: warm & natural | quilting: straight line and echo quilting around the drunkard’s paths | backing: forgot to check, can you identify it? I think Lupa wanted to add the Milly Melon quilt to her collection of puppy blankets. No such luck! Since finishing and photographing I have gifted it to Emily and her parents. They appreciated the handwork and thought I put into it very much, I love when that’s the case. Gorgeous, just as all your other work ! The shapes and colours work really well, I think I am not up to bended pieces yet, but I sure do admire them ! What an interesting quilt! The colors are bright and the circles add a lot of interest. Great job! What a beautiful color combination! I love how simple it looks…and really love the circles! I love how you quilted differently, some straight lines and some curves. It really adds interest to the quilt. Very nice! Very lovely quilt, simple as well as impactful. 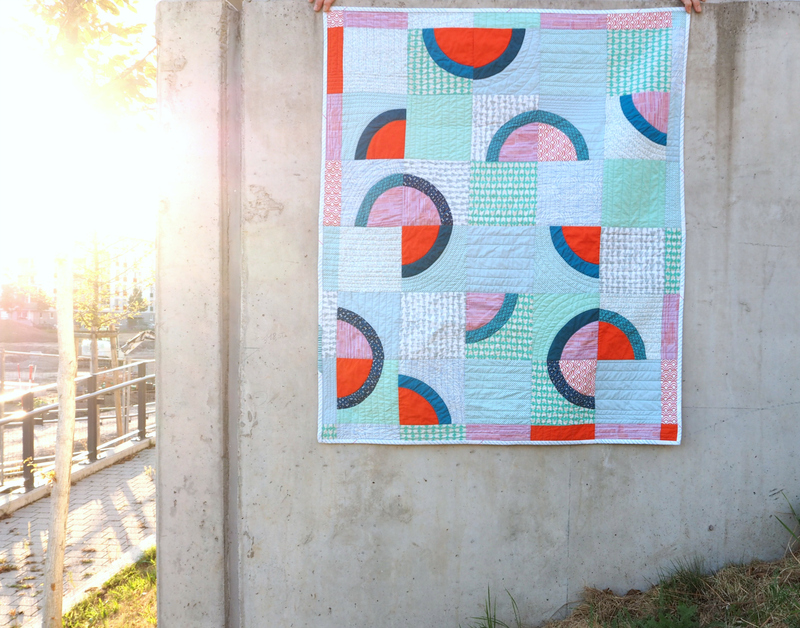 I really like the random watermelons scattered over this quilt… and the colors are really fresh and lovely. I very rarely buy fabric with a spedific project in mind. I know my colors and know how I like to combine them, so when a fabric speaks to me, then it usually goes in my stash. Little “mistakes” that look intentional are always the best! Thank you Katie, I’ll never tire of my walking foot! Fantastic quilt! I love the colors and the wildly scattered melon shapes. Great choice for the quilting too. I am with you on darker backings for lighter colored quilt tops. Love that contrast! BTW, Lupa is ADORABLE. Thanks for linking up to TGIFF this week! This is too much fun!!!!! Thank you Tammy! I love to make baby quilts colourful and bold, gives those little eyes and fingers something fun to discover! That’s a very lucky baby! I love everything about your quilt. This is a fantastic design! I love the small border you added too. Oh yes, I forgot to talk about that. It wasn’t in my original plan, but after finishing the main part of the quilt it was missing some interest. Thank you for your lovely comment Lisa! Carie, thank you so much! Never hurts to keep some summer memories throughout the winter! Your quilt is marvelous! I love the colors you chose for this really fun pattern. Kathi, thank you! I’m not sure the melons are that recognizable, but even if they aren’t I guess this can just pass as a playful abstract pattern. 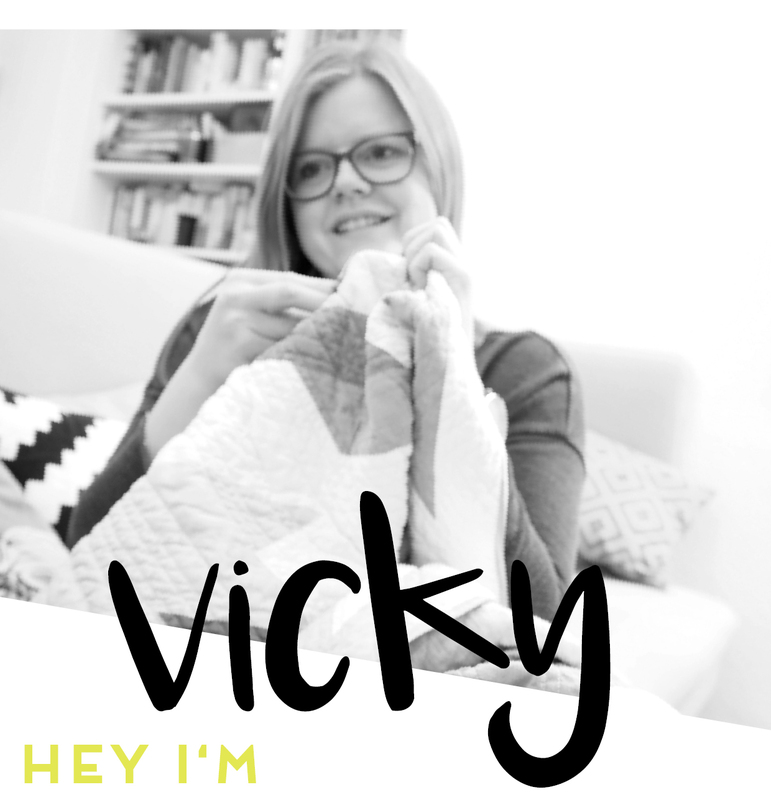 Your vision really shines through with this quilt. I can already taste the watermelons and want to sit at the pool – now, please! Such a wonderful babyquilt and an amazing idea- watermelon. Love the colors.